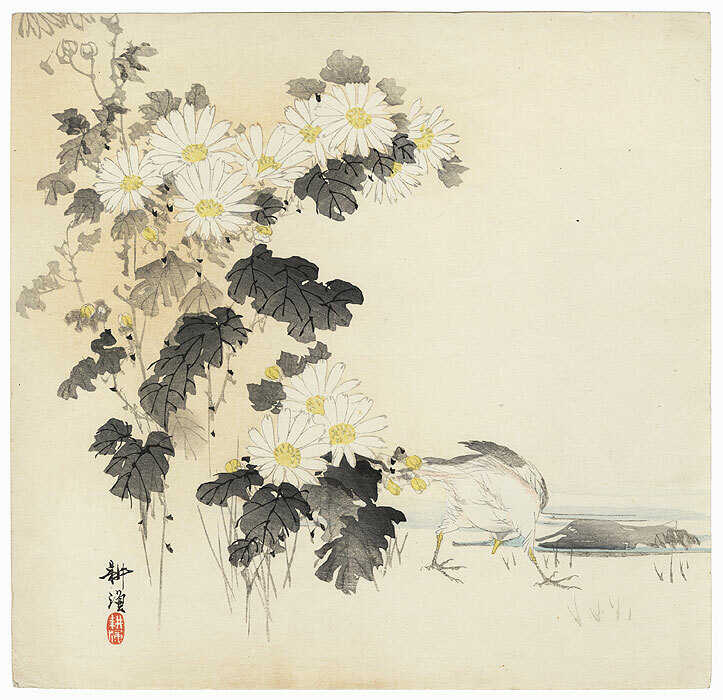 Comments - Interesting kacho-e or birds and flowers print of a bird pecking at the ground along the shore, as seen from the back. White chrysanthemums with yellow centers frame the view at left. 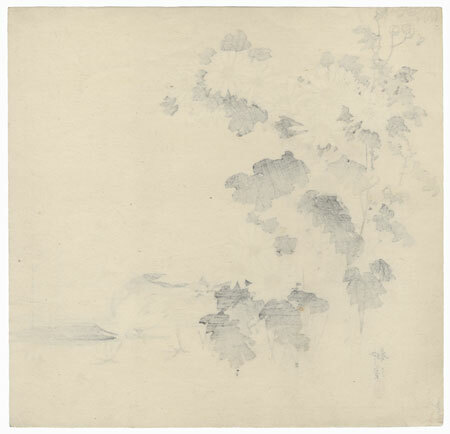 Best known for his handsome woodblocks of Noh theater subjects, Kogyo also did a number of nature scenes. 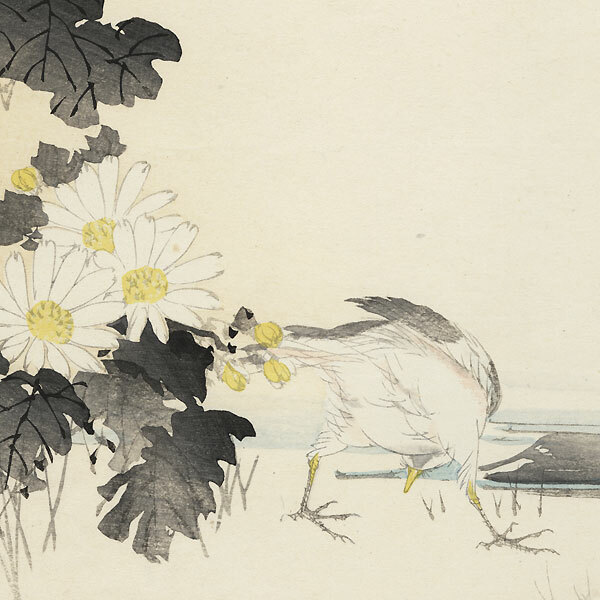 This image appears on page 143 of the recent book "The Beauty of Silence: Japanese No and Nature Prints by Tsukioka Kogyo." A handsome design with nice calligraphic line work. Image Size - 9 1/2" x 9 7/8"
Condition - This print with excellent color and detail as shown. Slight toning and soiling, a few creases. Please see photos for details. Good overall.